Play the Top Gun Free Online Slot - a Top Pokies Game. The film Top Gun took the world by storm the year it was released way back in 1986 starring Tom Cruise and it has become a classic since then. After all, it showcased the USAF at its finest so much so that everyone wanted to join the Air Force to train as a fighter Pilot. From stylish military uniforms and soaring fighter jets to romance and a cool soundtrack, it’s the perfect formula for capturing anyone’s imagination. This pokies machine of the same name also can be found in a land based version by WMS Williams. Of course, any movie that has earned a classic status is also deserving of having its own slot game. What’s certain is that you can expect this slot to be as thrilling as the film it is based on right below. Special BONUS ! – Play Top Gun for REAL CA$H Here ! This Top Gun slot made by Playtech has 5 reels and 3 rows and incorporates 243 ways to win rules. This only means that 3 or more symbols next to each other from left to right are the ones that are counted as wins. Any winning combination you make is automatically multiplied by values you set on Coin; it is this slot’s only parameter that you have control over, and it also influences your Total Bet. In this game, you also have complete freedom to choose to stop spins earlier by pressing on Stop. Lastly, Turbo Mode, when activated, results in faster spinning. When talking about this slot’s symbols, it’s only appropriate that we start from its low-value symbols. There are four of them in total, and they come in pairs based on their of-a-kind rewards. First comes J and Q, which both give up to 25 credits with 5 of a kind wins. K and A, on the other hand, give twice that amount with a max of 50. Many of the film’s colorful characters also serve as its high-value symbols. But we will begin with the lesser valued Air Force implements. Pilot Sunglasses & Clipboards and Air Force Jacket symbols are paired and give up to 100 credits. These are closely followed by Jester and Stinger symbols, both of which give a limit of 150 credits. Iceman and Goose are aptly this slot’s third and second most rewarding symbols, as evidenced by their high 500 credit cap. Charlie stands apart from this lot, though, with its 5 of a kind reward of 1,000 credits. Wild Symbols come as a Logo of this slot, and it only has a 5 of a kind reward, which amounts to 1,500. It takes every other symbols’ place during combinations, besides scatter symbols. A Fighter Jet is this slot’s scatter, and it is able to trigger its Danger Zone Free Games feature. This symbol only has a chance to appear on reels 1, 3, and 5 only. Dogfight Wilds – This is a feature that randomly occurs during base games. During this feature, a fighter jet wingman arrives and starts shooting the continuously spinning reels. Any position that it shoots becomes a Wild symbol to assist you. Players have a chance of getting 1 to 15 Wild Symbols on spinning reels. Danger Zone Free Games – Every time you land Fighter Jet symbols on reels 1, 3, and 5, this bonus game is instantly played. 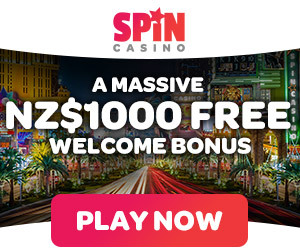 A set amount of 8 free spins can be won once this is triggered, and part of what makes this great is that it actually enhances this slot’s Dogfight Wilds feature. This gives players more chances to make high winning combinations that include Wild symbols. Other notable movie themed slots games, The Mummy and Scarface from Net Ent, Ghostbusters and Startrek by IGT, Zorro, Jaws and the Phantom by Aristocrat. Google + Profile: Tina Lim on November 2, 2016.